Countless things have been written about Santorini, from tourist guides and novels to poetry and photo albums. But there are some that will truly help you understand the island’s existence. For example, the book "Santorini: Volcano, Natural History, Mythology" by Professor Walter Friedrich refers to the volcanic explosion and the island geomorhology. Τhe Institute for the Study and Monitoring of Santorini Volcano (IMΠΗΣ) has issued a very interesting guide "Santorini - Guide to the volcano." 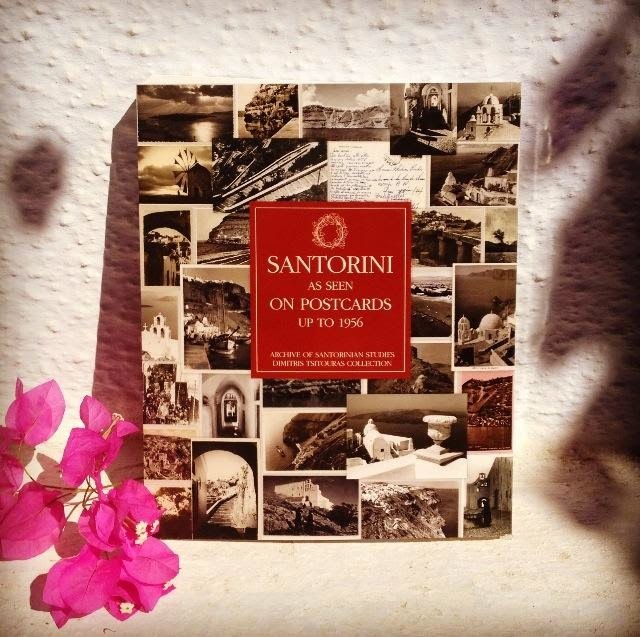 If you are fond of Santorini in the past, Nelly’s photo album «Santorini 1925-1930" and "Santorini as seen on postcards up to 1956 " from Dimitris Tsitouras Collection are amazing. Equally unique is the modern photo albums, such as "Santorini Ex Altis." For the archaeological findings, you can read "The Wall Paintings of Thera" by Professor Christos Doumas, as well as books by the Society for the Promotion of Studies on Prehistoric Thera. And of course, many novels have been written about the island, such as "The island beneath the mist”, “Rota per Ostria" and "Atlantis never lost."